With more people becoming aware of the dangers of processed foods and preservatives that are commonly found in most food items, it’s becoming more popular to reach for the organic products at the grocery store or eat more fruits and vegetables. 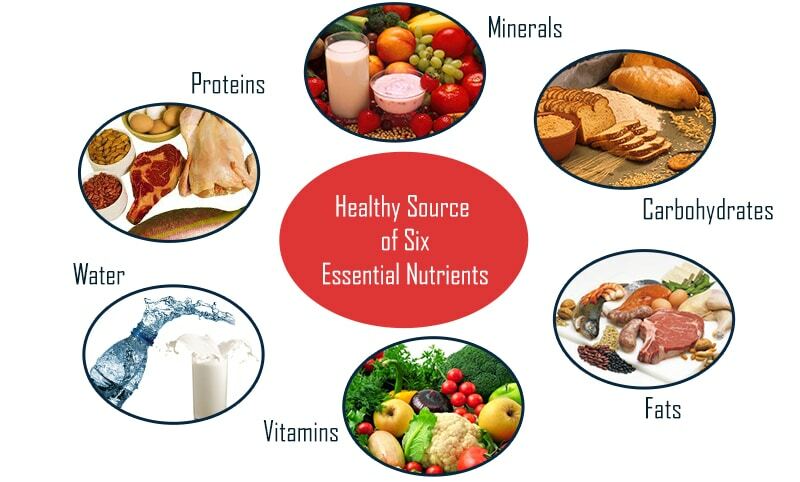 Although many people are becoming health conscious, there are still several nutrients that are lacking in diets that are essential to the body’s immune system. There’s a reason why so many products are becoming available that include high amounts of fiber. In fact, it can now be found in many things, from yogurt to granola bars. Many people often have issues with their digestion, which can be accredited to a lack of fiber. Fiber is easy to find, and while added fiber in processed foods can help, you’re better off getting it from common natural sources like whole grain breads, wild rice, bean soups, fruits, and vegetables. Calcium is essential to strengthen the bones and muscle function, but can be lacking due to a low intake of dairy or soy products for many people. 1,000 milligrams of calcium is recommended for both men and women between the ages of 19 to 51, and 1,200 milligrams for those over the age of 51 to prevent conditions like osteoporosis. Calcium can primarily be found in oranges, cheese, yogurt, and milk. Vitamin E is mostly attainable through foods that contain healthy fats and is important to consume because it rids the body of free radicals from pollution, toxins, and ultraviolet rays. Vitamin E strengthens the immune system and is mainly not consumed enough because many people neglect to eat foods like sunflower seeds, low-fat milk, honey, almonds, and whole grains. Iron deficiencies are common among children and adults with approximately 10 percent of the population suffering from anemia at some time in their life. Iron is essential to intake each day as the nutrient delivers oxygen to tissues and cells. Iron can primarily be found in meat, beans, nuts, and oatmeal. Experts recommend that approximately 18 milligrams of iron is consumed each day. For those suffering from low amounts of energy from a possible case of anemia, it’s recommended to visit a physician in winter haven. A doctor will be able to run tests to tell you where your iron and other nutrient levels are at. Perhaps one of the most important nutrients that keeps the immune system strong, magnesium works to normalize heart and muscle function while building bone strength. Between 320 to 420 milligrams is recommended each day, as the nutrient can be found in whole grains, seeds, beans, soy. Although it’s important to many to eat foods that work to shed weight, it’s even more important to consume nutrient-dense foods that work to build the immune system and enhance the overall function of the body’s organs. This will work to ward off sickness and disease while contributing to overall energy levels.